Make the Jello as per the packet instructions and allow it to set fully. Cut the jello into tiny cubes. Refrigerate at least 1 hour before serving. In a saucepan add milk, water and sabudana and cook on low flame for 15 min or until the sabudana change its color. Add sugar and cook for another 5 min. let it cool completely. Chill till needed. In a saucepan add boiled milk, cornstarch, sugar and condensed milk and make a smooth mix. Cook till the mixture is thickened slightly. Add red food color and cook for 2min on low flame. Switch off the heat and let it cool. Refrigerate at least 2 hours before serving. 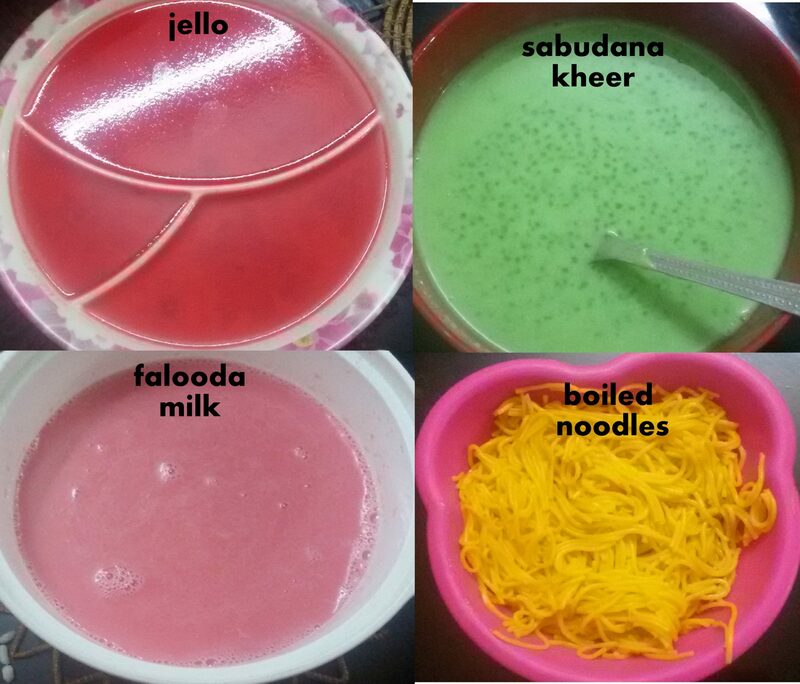 In a nice glass or tall bowl, pour 2 tbsp sabudana kheer followed by 1/4cup falooda milk, boiled noodles and some jello cubes. Add some fruit cubes on top. Pour 1 scope of vanilla ice cream. 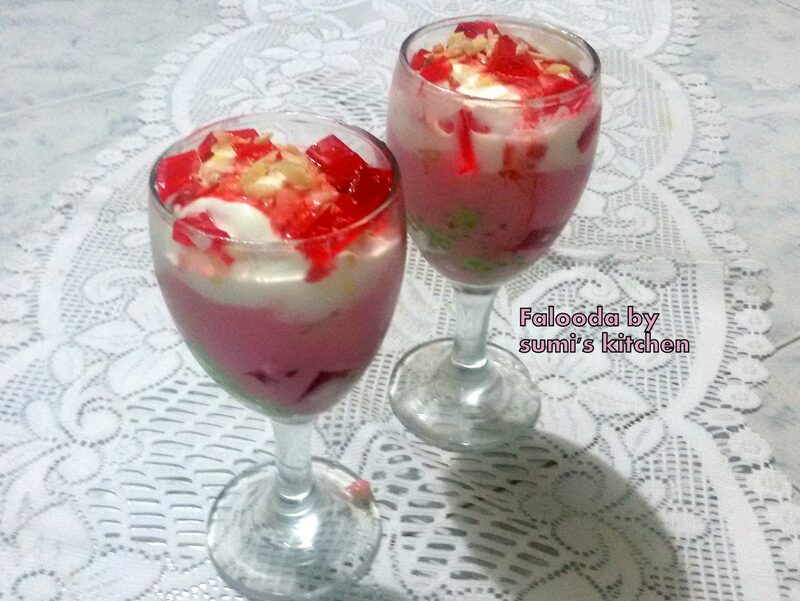 Spread 1 tsp of rooh afzah and some jello cubes on top.